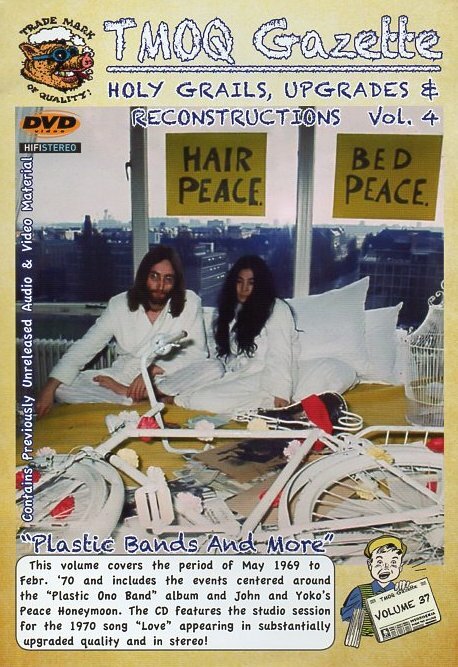 the events centred around the "Plastic Ono Band" album and John and Yoko's Peace Honeymoon. Produced by: John Lennon, Yoko Ono and Phil Spector. 5 Man of the Decade Recorded 2nd December 1969 at Tittenhurst, Ascot. 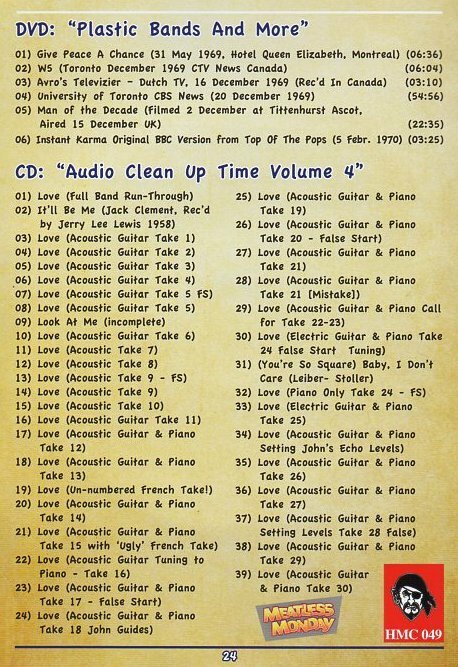 "Audio Clean Up Time Volume 4"
A brief false start, then a half-hearted first verse. Quite a nice complete run through. At start, "Just relax my Kentucky braces". Before the attempt, John offers "God Is A Concept"
Although, this is the first track to start with a Take Call, "12", it just sounds like a practice. "OK, shall we just take one ?" "Right let's take one" "21"
"Just carry on, it doesn't matter if you play a different tune"
A serious attempt at a take - until the mid-section. At end, "That last one was very good I thought"